Home Opinion Fr. John Flader What can we do about irregularities in the celebration of Mass? Dear Father, In my parish there are certain irregularities in the way Mass is celebrated and frankly I am disturbed by them. Some of my friends tell me not to worry about it. Is this important? Obviously there will be some “irregularities” which are not particularly important, but in general the priest should be careful to follow what is indicated in the missal. The liturgy is the public and official worship of God which the whole Church, the Mystical Body, offers to God in union with her head Jesus Christ, so it is important that it be celebrated according to the mind of the Church. For this reason the Church has given us a missal with the texts to be used and with indications known as rubrics which specify when the priest is to bow, make the sign of the cross, genuflect, etc. The word rubrics, by the way, comes from the Latin word for red, because these indications are traditionally printed in red to distinguish them from the rest of the text. The missal allows the priest to choose from a number of penitential rites, prefaces and Eucharistic prayers, etc. These choices are foreseen and they provide a certain variety in the common celebration of Mass. But apart from them the priest is to follow both the text and the rubrics of the missal. He should not change the wording of any of the prayers, the profession of faith, the Eucharistic Prayer, etc, and he should not leave anything out. The Church is universal and she has a common worship, so that the faithful can attend Mass anywhere in the world and find it celebrated in basically the same way. Naturally the different rites, especially the Eastern rites (cf. J. Flader, Question Time 2, Connor Court 2012, q. 180), have their own way of celebrating Mass which may be quite different in some aspects from the Roman or Latin rite celebrated in most of the world. But even these rites have a common missal used all over the world so that their faithful find themselves at home in the liturgy wherever they may be. In this way the Catholic Church is seen to be clearly one and universal. It is very different from the protestant denominations, where their worship can be vastly different from one parish to another, let alone from one country to another. The Catholic liturgy is celebrated in the same way not only all over the world, but also in the same way in its basic structure since its institution by Christ. The description of the Mass in the middle of the second century given by St Justin (cf. Catechism of the Catholic Church 1345) corresponds remarkably to the Mass we celebrate today. For this reason the Instruction Redemptionis Sacramentum of the Congregation for Divine Worship and the Discipline of the Sacraments together with the Congregation for the Doctrine of the Faith (2004), says: “Finally, the structures and forms of the sacred celebrations according to each of the Rites of both East and West are in harmony with the practice of the universal Church also as regards practices received universally from apostolic and unbroken tradition, which it is the Church’s task to transmit faithfully and carefully to future generations. All these things are wisely safeguarded and protected by the liturgical norms” (n. 9). 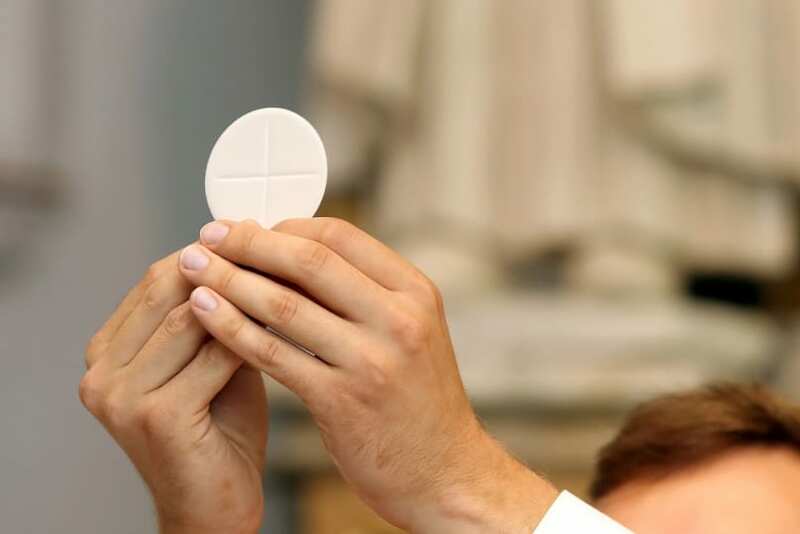 The Instruction goes on to say: “The Mystery of the Eucharist is too great for anyone to permit himself to treat it according to his own whim, so that its sacredness and its universal ordering would be obscured. On the contrary, anyone who acts thus by giving free reign to his own inclinations, even if he is a priest, injures the substantial unity of the Roman Rite, which ought to be vigorously preserved, and becomes responsible for actions that are in no way consistent with the hunger and thirst for the living God that is experienced by the people today. Nor do such actions serve authentic pastoral care or proper liturgical renewal; instead, they deprive Christ’s faithful of their patrimony and their heritage. For arbitrary actions are not conducive to true renewal, but are detrimental to the right of Christ’s faithful to a liturgical celebration that is an expression of the Church’s life in accordance with her tradition and discipline” (n. 11). Let us pray that all priests will have a great love for God, for the Church and for the liturgy, so that they will celebrate Mass with all the dignity and reverence it deserves.